Cryptonomex needs to separate themselves from being seen as the head for bts to survive. My opinion is that a distributed community/society *does need* leaders in order to survive and stay focused+competitive. It doesn't have to be the "official" head but a socially-recognised and unanimously-agreed-on leaders who help to lead and serve the community. And again I want to stress that we won't need dictators but capable and devoted leaders. 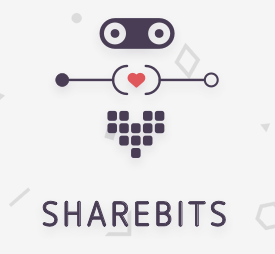 Dan and co. have been doing that job extremely well and I (and hopefully the community) wish that the team continues to and stays committed in playing these roles in bitshares ecosystem. They are still leading. We see them working and proposing ideas every day. The alt-coin market as a whole has failed to consistently attract users, create shareholder value and/or profitable products these last few years. However many Bitcoin gambling sites have experienced tremendous success in all those areas, given their low overheads, house edge and the proven popularity of gambling in crypto. BitUSD, BTS 2.0 & the referral programme are the perfect ingredients to create a vastly superior decentralized gambling platform. Do you have any plans for, or see anyway that BTS could be involved in this lucrative area which has consistently proven to attract users, create shareholder value and generate profit? We know lots of announcements are scheduled for this summer, are these likely to be closer to weekly or monthly? Are the announcements delayed due to non-disclosure agreements or are they staggered for a continued BitShares media presence over summer? Intentionally staggered I am guessing. Which is a good thing. This is better for creating a continued stream of interest, rather than just one big pump and dump. I have thought about creating a gambling website that accepts bitUSD, and perhaps more importantly only pays out in bitUSD. I am not sure what the level of interest would be. The killer app would be blockchain based and make use of the new referral programme but a centralised site could still do well. In terms of the level of interest. I think looking at Bitcoin when it was a comparable size gives some indication. Satoshi Dice was accounting for 50% of BTC volume, had $30 million turnover and a few hundred thousand profit, and was sold for >$10 million. Responsible for more than 50% of daily network volume on the Bitcoin blockchain, SatoshiDice reported first year earnings from wagering at an impressive ฿33,310. During the year, players bet a total of ฿1,787,470 in 2,349,882 individual bets at an average monthly growth rate of 78%. Even if BTS holders only gambled at a fraction of the rate, there's still a lucrative market for early movers imo. You could potentially issue a UIA to raise funds for the BitUSD float and pay out investors a percentage of house earnings. Those investors would also help promote it and be potential users. Just-dice introduced the concept of allowing players to be part of the bank, which turned out to be pretty much the ultimate marketing vehicle,” . My opinions do not represent those of metaexchange unless explicitly stated. Please keep this to questions for the hangout everyone. I love that you all want to chat, but we need to ensure this remains largely on topic. WhaleShares==DKP; BitShares is our Community! Please go into more detail on the "Exchange In A Box". Will there be a "Faucet in a Box" and what else "in a box" can we expect in the future? Does anyone have questions for BM for this coming Friday? If so, don't forget that this is where they go! What is your initial view on bitShares borrowing from the market to help fund development, with loan repayment enforced by the block-chain? Depending on the size of such loans, the possibility of dilution may not sit well with those who think of BTS as a currency, but if we think of BTS as a growing business in need of development capital, giving bitShares more flexible options in its own capital structure could increase our ability to manage for growth while still doing it all on the block-chain. Clearly there are strategic and other philosophical questions around this. What is your view on bitShares borrowing from the market to help fund development? Depending on the size of such loans, the possibility of dilution may not sit well with those who think of BTS as a currency, but if we think of BTS as a growing business in need of development capital, giving bitShares more flexible options in its own capital structure could increase our ability to manage for growth while still doing it all on the block-chain. Clearly this is partly a question of philosophy. I'm not Bytemaster, but I'm happy to answer since I'm not technically required to know what I'm talking about. But the question is not where to obtain BitShares, it's the fact that you intend to liquidate them that matters. Whether you borrow or print or "earn" them doesn't matter if you intend to HODL until 2099. Now if you issue a vesting asset that someone can use as collateral to borrow against outside BitShares, then you've got something. They will be spending other assets while the BTS stay locked up until a time far, far away when BTS will be the global reserve currency and no one will care if you sell them into a deeply liquid market. That said, viewed as a business, that is exactly what Silicon Valley startups do. They issue equity for work, which the workers are happy to take with the hope it will result in higher value than a paycheck if the company is successful. But if you get into a situation where the workers must immediately liquidate their shares to buy food, then you are hurting your share price. This is fine in normal startups where investors understand that they will not be able to sell for many moons. It is not so fine if investors can sell now and buy back later when all the hard work is complete. Disclaimer: I am not an economist, I only play one late at night to amuse myself. After BitShares/Cryptonomex/Graphene ends the Fed and the banksters are rounded up and given trials then sentenced to lengthy terms as Satoshi Nakamoto begins panic selling once he realizes everyone went with BitShares instead of the dominant black market currency (as people have throughout history once their fiat currency collapses) thereby signalling teh end of bitcoin ... what's next? I'm suspicious of water, so teh BitShares Island is out of the question. What other BitShares resorts will be available at that time? Do you have brochures or memes ... or should I get started on that? Thanks for your comment Stan. The main purpose of the loans would be to have a deeper pool of development funds than currently available through delegate pay alone, so that bitShares can directly pay for all the developers it needs, and pay them a competitive rate. It doesn't directly tackle the questions you raise about how those payments should be packaged to align the interests of the developers with the stakeholders, as well as ensure they are not unduly pressuring the price of BTS through sales. But now you raised it, I'll add some thoughts on these issues, which are also important. I suspect whether you pay the developers in BTS, bitUSD or something else doesn't really matter from their perspective, as long as they are free to convert one to the other at market prices. And it doesn't matter from the perspective of BTS owners, because whatever currency you pay them in is the same currency that has to be extracted from the market in the first place to lend to the bitShares development pool (just to be clear, lent funds must be taken from the market - they are not produced by dilution). There is only a timing difference in the end, although if such loans were spread over time, a lot of the timing differences would smooth out anyway. What the market will be concerned with is any potential dilution to make maturity payments should the reserve pool be insufficient. As far as alignment goes, some developers will want the security of a competitive income stream, and then they can decide after the fact if they want to save some of this in the form of BTS or not. This is like a typical employee wage. Others will be happy to get paid at a higher rate, by sacrificing secure wages now in order to be paid in equity that only vests after some period (say 3 years). bitShares should also be happy to pay these people at a higher rate, because the interests of both parties are aligned by future share performance. This is like startup equity. And there may be other developers whose risk tolerance sits somewhere in the middle. I doubt there is any easy way to meet your suggestion for a developer to get vested equity, and be able to borrow against that to cover daily expenses. If they could do this, they would be building a risky leveraged position for themselves. Their only realistic choice is somewhere on the spectrum of secure income to vesting equity. And that may come down to each individual. I hope this helps and I have not gone on a completely different tack. I'll copy these comments to the original discussion thread so that we don't steal fuzzy's thread here.